Betting Expert is interesting platform that could help you improve your gambling results. Its creators describe it as “the world’s biggest betting social network”. Considering the thousands of members and hundreds of tips provided each day, this is not far from the truth. 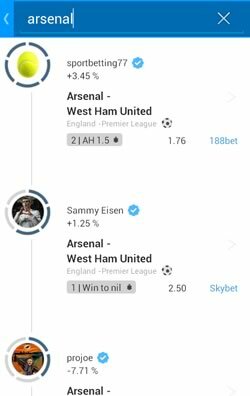 You can get access to Betting Expert from the comfort of your phone or tablet thanks to their native tipping apps for both Android and iOS devices. The software is available in 10 different languages and provides between 900 and 1500 betting predictions each day. Each of them includes stats and analysis to back up the tip. You can check the profile of each user and see their results. This way you can filter winners from losers. The app offers betting predictions on over 25 sports, including soccer (English Premier League, La Liga, Bundesliga), NFL/College Football, NBA basketball, golf, tennis, MMA/UFC and more. When you find some good tipsters, you can follow them and never miss their betting advice. You can even subscribe to receive push notifications on your mobile device so that you never missing a winning betting opportunity when a successful tipster makes a prediction. 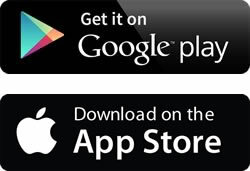 BettingExpert is available from iTunes App Stores or Google Play for Android sports betting fans. OLBG is an online betting community with thousands of members and tipsters. They provide useful analysis and predictions on various sports including football, horse racing, tennis, basketball, U.S. sports, and much more. All of that is completely free and you can even win some cash in the numerous competitions with real money prize pools at OLBG. iOS/Android users can download the sports tipping app from the Apple App Store/Google Play, while Windows Phone and BlackBerry user can get betting tips via the web-app. 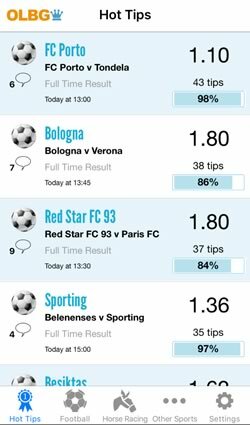 In order to find the best tipsters out there, just go to the Tipsters section and use the filters to help you find exactly what you are looking for. You can select a sport, period of time, and many success-related criteria. Alternatively, you can check all the tips currently available by sports. Every tipster has a detailed summary that will help you understand what are his good and bad sides. Even if you don’t want to directly follow the tips, they still can be very useful. You will see different points of view as well as important stats, insights and betting information. Success in sports betting is based on the best evaluation of each market and you need as much data and view points as possible to improve your chances. The OLBG betting tips app is completely free to download and use. Racing Post is one of the best betting sites for horse racing out there. You can find detailed stats, news, videos, gossip and pretty much everything related to horse racing in the United Kingdom and Ireland. 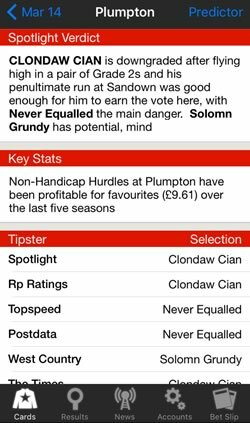 We've included the Racing Post app here because it also offers the most comprehensive horse racing tipping section. The first one can be found under the “Tips” section above the racecard. Just tap on it and you’ll get detailed information about each horse from leading experts in the industry. Opinions and predictions by experienced pros from respected media like The Times, Telegraph and Guardian are all included. Also, you will find Racing Post Ratings, Topspeed ratings, and the Diomed verdict, all of which will will give you a very informed overview on each race and the possible outcomes. This is the perfect tool to make better decisions and maximize your winnings from betting on horse races. If that’s not enough for you, you can take advantage of the Racing Post Predictor. This feature combines various stats and ratings to create a virtual simulation of each race. The model is based on complex calculations and data trends that predict the possible winner. The Racing Post iOS app can be download from the App Store on iTunes. The Android version can be downloaded directly from the Racing Post website. The online betting industry is a huge business that generates billions in revenue each year. Millions of people are placing wagers online on their favorite sports which has created a need for various apps and websites to provide statistics, analysis, betting tips and predictions. Those can be very helpful and give the bettors an extra edge in the battle against the bookies. You can get additional angles on the sports you are interested in, inside information, predictions based on statistical models and tips from professionals. This way you can boost your winnings and improve your betting skills without much effort. It is an essential advantage that should not be overlooked by any bettor out there. The good news is that most of these sports betting tips services have their mobile version that are available on iOS, Microsoft Lumia, Android and BlackBerry. These app for tips on sports from the USA, Ireland, England, Canada and Australia.